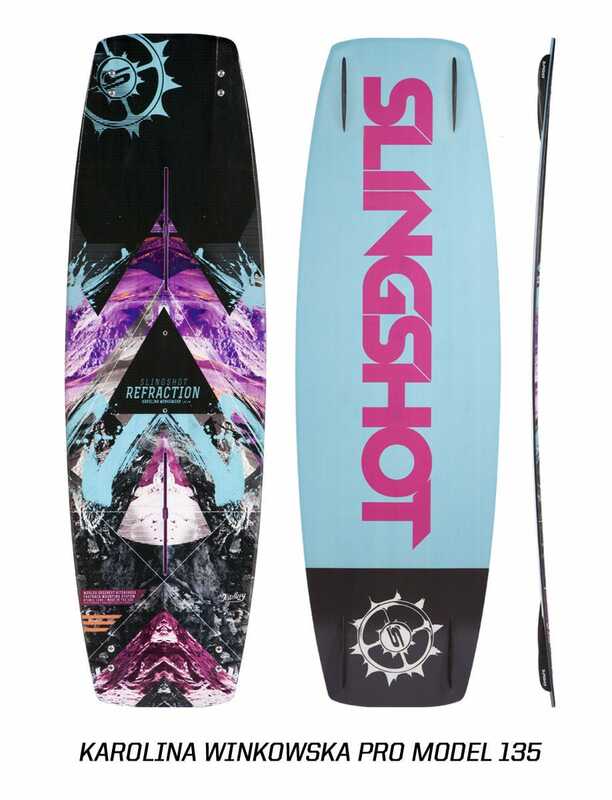 Built to satisfy the high demands of elite Slingshot team riders, Sam Light and Karolina Winkowska, the Refraction Pro Model provides the type of explosive performance and field-tested consistency that the hardest-charging kiters demand. Modeled after Slingshot Wakeboarding’s popular Whip board and then tailored to the specific needs needs of both Sam and Karoina, the Refaraction was born. 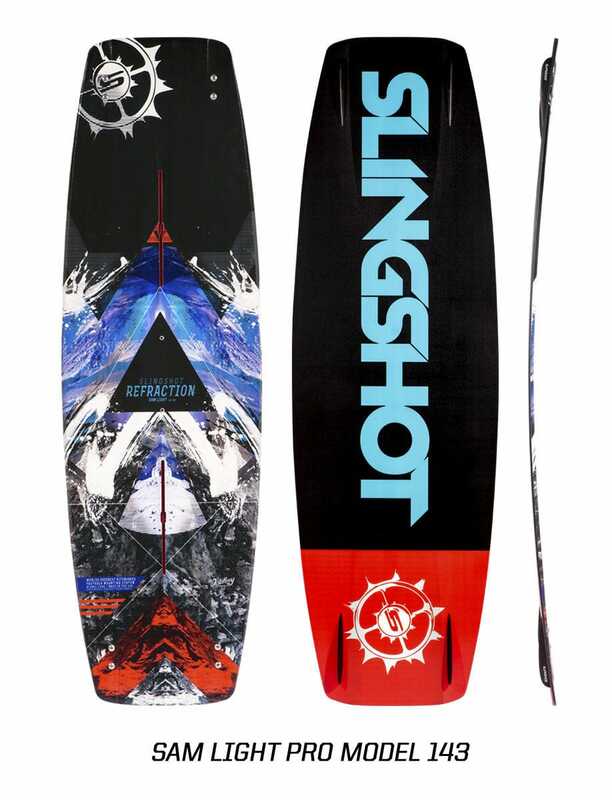 Garnering DNA and influence from the most progressive riding from each aspect of kiteboarding the Refraction is the peak of true twin-tip performance. Features include a progressive rocker profile, subtle v spine, Slingshot’s proprietary fasttrack mounting system and inverted naca tech channels for ultimate pop and edge control. 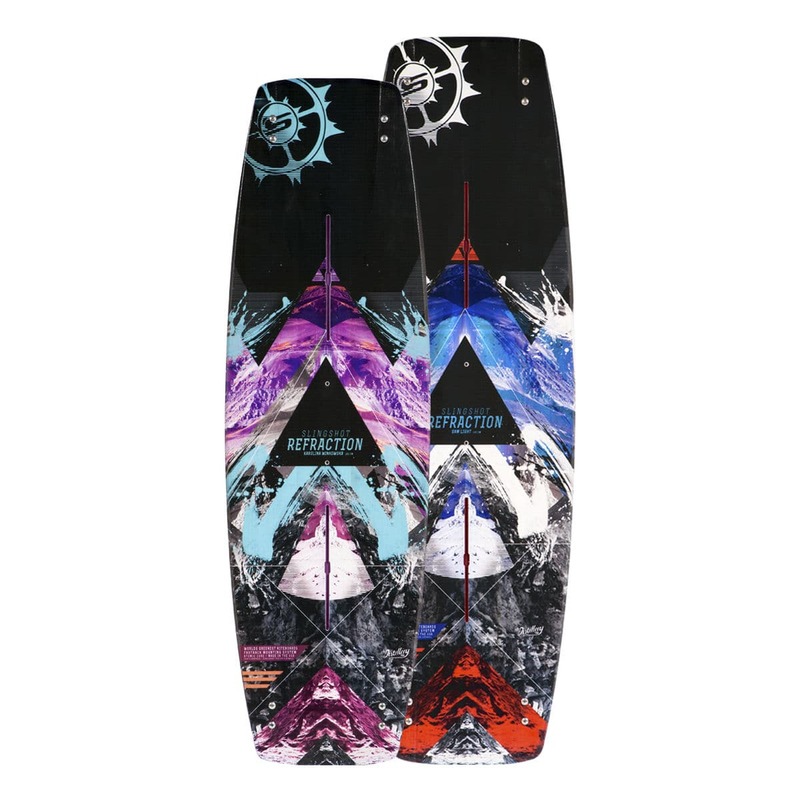 Package includes board, standard 2" fins, grab handle and Fastrack mounting hardware.